Join us at The Plaza Theatre for our Winter Showcase! This will be our last showcase of 2017 and it is set to be our biggest showcase to date. We will also be filming a live DVD so make sure to save the date! FREE EVENT. If you have any questions, feel free to call us at 915-201-8191. WE ARE RECORDING A CHRISTMAS ALBUM! We're excited to announce that we will be recording a Christmas Album! We will be selecting students to participate in the recording but if you think your child might be interested in being a part of this project, please contact us. We will be starting with our Voice students. Our Christmas album will be released at our Winter Showcase in December. The album will also be available on iTunes, Spotify, Apple Music, Google Play, etc. This is a great opportunity for your child to get hands on experience in a recording studio, learn about the recording process, and putting an album together! Again, if you feel your child is a good candidate for this project or would simply like more info, please give us a call at 915-201-8191. We are going to be at Purple Heart Elementary School for Career Day. If you see us there, stop on by and say hi! We will be giving goodies and have a performance. We got to hang with a few hundred kids today, this was one of the groups we got to spend time with to talk about music. 👍🎸 We would like to thank Purple Heart Elementary for inviting us to be a part of Career Day. We will be giving out candy and other goodies at this event. We will also have live performances by our students, so keep an eye out! See you there! Boo at the Zoo is the wildest, trick-or-treat event with an expected attendance of more than 19,000 visitors over the two-day weekend, now with extended hours! 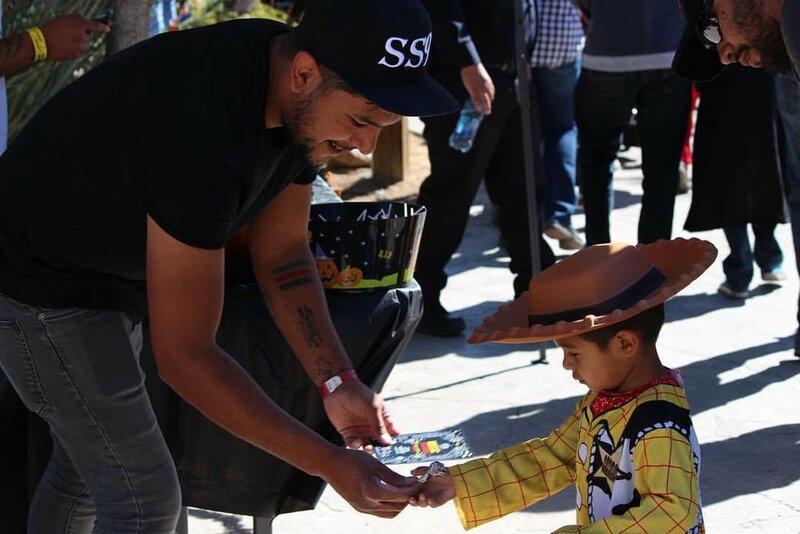 The event offers a fun-filled day with trick-or-treat stations, animal encounters, children’s activities, games, frightfully delightful decorations and much more! Boo at the Zoo provides families a fun and safe environment to celebrate Halloween along with the Zoo’s exotic and wild residents, the animals. So join us on October 28th and 29th from 10 am to 6 pm for Boo at the Zoo!